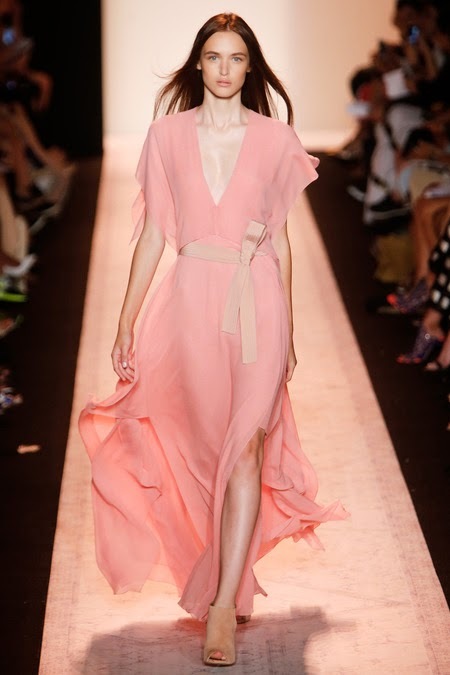 Casting director Patrizia Pilotti kicked off New York Fashion Week with a sensual model army for BCBG Max Azria's free-spirited Spring/Summer 2014 collection. 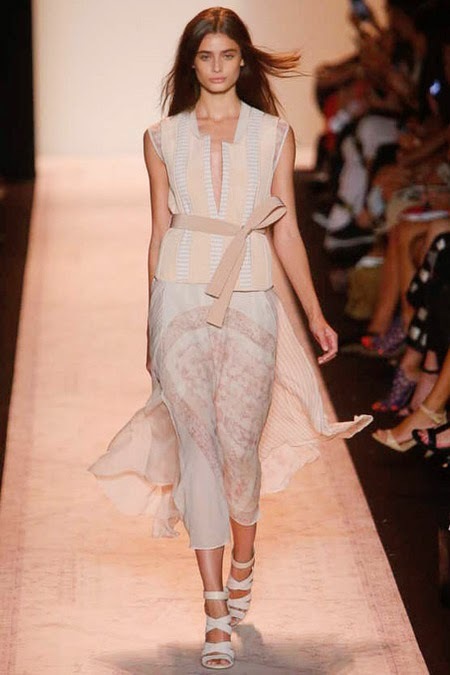 The line-up of BCBG bohemian babes included established catwalkers Elisabeth Erm, Mijo Mihaljcic, Pauline Hoarau, Esther Heesch, Agne Konciute, and Katlin Aas. A medley of rising stars Larissa Marchiori, Anastasia Lagune, Zhenya Katava, Irina Liss, Ronja Furrer, Kamila Hansen, and Stephanie Joy Field brought depth of field to the cast. With her eye trained on the casting horizon, Pilotti's brilliant selection of newcomers Blanca Padilla and Belarusian Stasha Yatchuk to open and close proceedings will no doubt have casting directors on speed dial to both girl's agents. 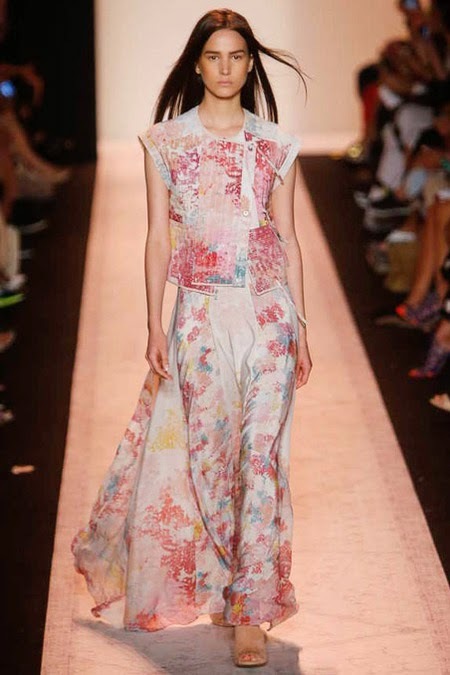 Padilla's exotic sultry Spanish beauty was impossible to miss earlier this year at Elie Saab and Valentino Couture Fall/Winter 2014 while Yatchuk is one of the most buzzed about newcomers following her riveting Fall/Winter 2014 debut at Prada, Miu Miu, and Marni. Also piquing IMA's interest is IMG's promising new face Lithuanian Evelina Sriebalyte whose sharp angularity and feline-like eyes seem destined for Top 10 Newcomer contention. Classic beauties figured prominently on Pilotti's mind with All-American babes Taylor Hill and Britt Bergmeister, China's Leaf Zhang, Ukrainian Jane Grybennikova, and BCBG Fall/Winter 2014 campaign star Anja Leuenberger rounding out the stellar cast.